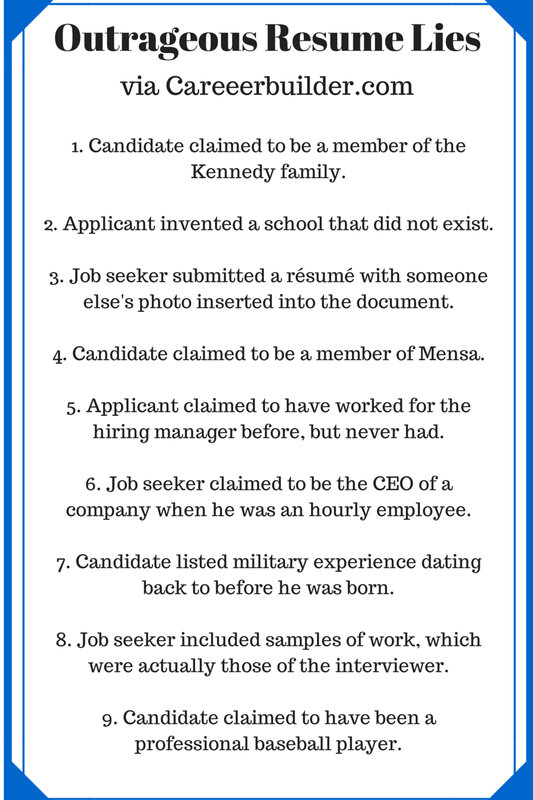 People do lie on their resumes, and some most famously! (See Part 1 of this series for some news worthy examples). The most common reason people fall into this trap is out of fear that they won’t get the job unless they lie. They believe their qualifications are lacking, so they “embellish”. In other cases, they simply want to take the easy way out. Instead of doing the work or putting in the time, they simply fabricate accomplishments. However, no matter what the lie, it is best to operate under the assumption that you will be found out. And when HR managers even suspect you are being less than truthful, the chance of you landing the job plummets. But what if you have already fabricated information on your resume? Do You roll the dice and hope you won’t get caught? Do you go back and try to correct your resume while still keeping yourself in the running for the job? It boils down to this....you have limited choices. None come without consequences, but what they can do is give you a way to move forward. Choosing to do nothing means you are opting to wait it out and hoping you won’t get caught. The danger is if at any time in the future your deception is discovered, you can be fired or, at the very least, embarrassed. There is also the possibility that the ramifications can resonate. People talk, and it is unlikely that other employers won’t find out. If you choose this option, you must update anything in your resume where you were less than truthful. This could mean fixing dates of employment or job titles, re-wording your accomplishments, etc. It is important that you supply your interviewer with this revised copy. Be sure to explain that you noticed some errors and wanted them to have an updated copy. While this might take you out of the running for the job, you most likely won’t have burned any bridges. The risk you take here is that you will blow your chance of getting hired. The plus is that you can now move forward again in your job search ~ as long as you make sure to correct all the errors on your resume before applying! However, if you are lucky enough to be given a second chance, at least you will not have to look over your shoulder for the shoe to drop. This, by far, is the safest option. With each of the other choices, you take the chance that you will lose the job, either now or when they find out in the future. You don’t have to explain why. It is best to just say thank you, but that you are no longer interested in the position. This allows you an easy exit. Each of these 4 choices deal with a fabricated resume after the fact. However, your absolute best option is to be honest on your resume in the first place. 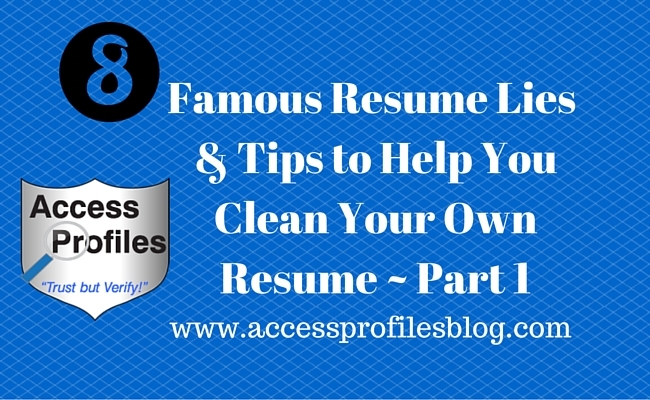 get your resume “background check ready” with these tips. Now that was good for a laugh! Have You ever Lied on a Resume? Would You? What is the craziest resume lie you have ever seen? Share them here! 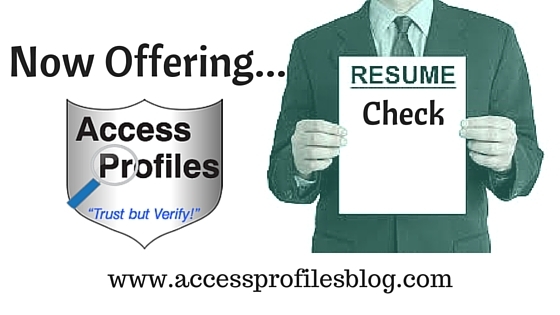 For more job search and background check tips, please follow our blog at www.accessprofilesblog.com or Contact Us. We can help you with all your Hiring, Business, and Security needs! In 2008, Robert Irvine was caught embellishing his work history and lost his television show, “Dinner Impossible”. While Irvine correctly listed that he worked for the White House and Britain’s Royal Family; he did not create Princess Diana’s wedding cake, cook White House Dinners, and he never knighted by the queen. Despite Irvine’s very public fallout, he was invited back to the Food Network in 2009 and currently hosts his own show. However, the embarrassment of being caught in his lies lingers. In 1988, current Vice President Joe Biden ran for president. During his campaign, it was discovered he lied about attending law school on a full scholarship (he had only a partial scholarship) and about graduating in the top half of his class (he was 76th out of 85). When the truth came out, Biden had to abandon his presidential bid. Jones was employed by MIT for 28 years before it was discovered that she not only hadn’t earned the master’s degree listed on her resume, she hadn’t received any college degree at all. Upon resigning in 2007, Jones stated that after getting the job with MIT, she “did not have the courage to correct” her resume. Before being hired by the university, O’Leary claimed he had earned a Master’s degree in Education from New York University and that he played college football for 3 years at the University of New Hampshire. In reality, O’Leary did attend NYU in the 7o’s, but never received a degree. And as far as his starting football career for New Hampshire? O’Leary never even played in one game. His career at Notre Dame lasted 5 days when he was forced to resign after the truth was found out. Wheeler’s entire academic career was a lie. He fabricated his education history with the sole purpose of getting into Harvard. In his application to Harvard, Wheeler claimed he was transferring from MIT. In reality, he was a former student at Bowdoin College, where he was suspended for “academic dishonesty”. After being accepted into Harvard, Wheeler plagiarized essays and research proposals that earned him $40,000 in grants and prizes. Surprisingly, Wheeler was only found out when he applied for the Rhodes and Fullbright scholarships in his senior year at Harvard. Wheeler pleaded guilty to 20 varied felonies and misdemeanors including identity fraud and larceny. He was sentenced to 10 years probation and ordered to pay restitution of $45,806 to the university. Valery was a paralegal at a Connecticut law firm. While employed there, he told his employers that he attended night classes and passed the state bar in 2004. He worked for two years as a lawyer before the deception was discovered. In 2008, Valery was sentenced to $225,000 in restitution to his former firm and community service. Callahan worked for the Department of Homeland Security in one of the most important IT positions in the country. Her job entailed managing the databases containing vast information on our nation’s terrorists. Before gaining this position, Callahan had held a similar one with the Department of Labor. She stated a Ph.D in computer science along with multiple other degrees that made others consider her an expert in her field....or did she? In 2003, it was discovered that Callahan's Ph.D., and actually all three of her listed degrees, had been purchased from Hamilton University, an online diploma mill. Callahan had even had them all back dated to make it seem as if she earned them at the right times in her career. Callahan resigned in 2004, but was never charged with any crime. Tovar claimed a B.A. degree from the University of Delaware in 1996. He was hired by Walmart in 2006 and became its lead spokesman on many high-profile issues. The truth is that Tovar never really earned that degree. Despite, according to him, walking in the graduation ceremony, months later the university informed Tovar that he was actually a few credits short. By that time , Tovar explained that he had already gotten a job and decided not to go back to finish his credits. However, when Tovar was being evaluated for a promotion to Senior V.P., the decades old lie was discovered. Tovar has resigned and will leave Walmart by the end of September, 2014. As you can see, resumes lies can come back to haunt you, even long-ago ones! Employment - listing better job titles and responsibilities, omitting a past employment to cover being fired, fudging dates of employment, or listing “Self-Employed” (usually to cover periods of unemployment). Fraudulent References - having friends serve as professional references or hiring a company to do it. The best thing you can do is to make sure your resume is clean from the beginning. But what if you have already fabricated information? What should you do? In the second part of this series, you will find steps you can follow to help. 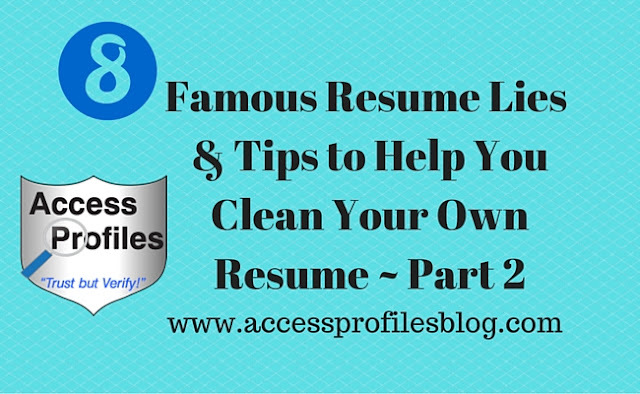 Want to make sure your resume is clean? We can give you some free tips to put you on the right track. If you need more in-depth help, we would be happy to discuss Our Services. Whether it is the world I am pulled into with a good book, the latest episode of Sherlock, or even a game of Clue ~ I am riveted. I find myself analyzing clues, trying to “read” the possible suspects, and making my prediction as to “Who Done It”. Many of us are compelled to unravel mysteries. By nature, we are curious creatures. We wonder and surmise about many things. This is the profile I then supply my client. They trust me to weed through data and present them with a clear and concise solution. I recently had an online connection contact me to help her solve a dilemma. Despite being completely qualified and having a proven track record, this individual was not getting a job offer from any of the companies where she applied. Her resume was getting her in the door. She was getting interest from recruiters and HR alike. She even had multiple phone interviews that seemed to go extremely well. Then she kept hitting a wall. It was a mystery. That is when I went to work. 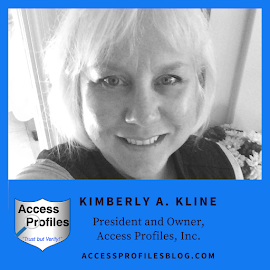 I took a look at her social media profiles ~ since that was her “face” to a perspective employer ~ and made some suggestions for tweaking her “about” sections. But the real clue came when I began verifying the information on her resume. I was able to uncover that there were discrepancies between the information listed and what was being supplied by her past employers. This could be the “red flag” that has been stymying her job search. She has since made sure that her resume matches exactly what will be found by any background check. According to her, she is now “more confident” about upcoming phone interviews. There is a real satisfaction for me in this process. I love taking the unproven information supplied to me and turning that into a verified profile for my client. So, do you know your true strengths? Take the time to really look inward. What draws you time and again? What do you find yourself doing and thinking when you let your mind wander? This is where you will find your own calling. I may not have started out thinking that doing Background Checks was where I would end up. But as time has gone on, it makes perfect sense. 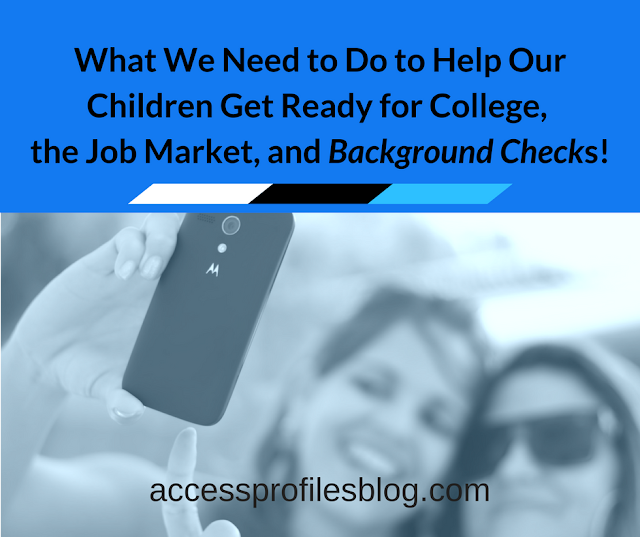 for More Information on how We can Help You with your Background Check and Job Search needs! 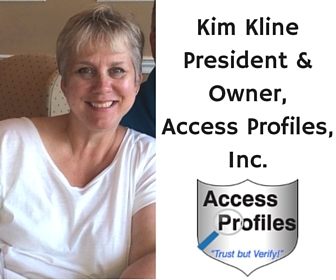 Check out our website, www.accessprofilesblog.com, and find out more About Us and our Background Investigation and Job Search, Business Mentoring, and Security services too! Let’s connect on Facebook, LinkedIn, Twitter, Pinterest, and Google+ too! 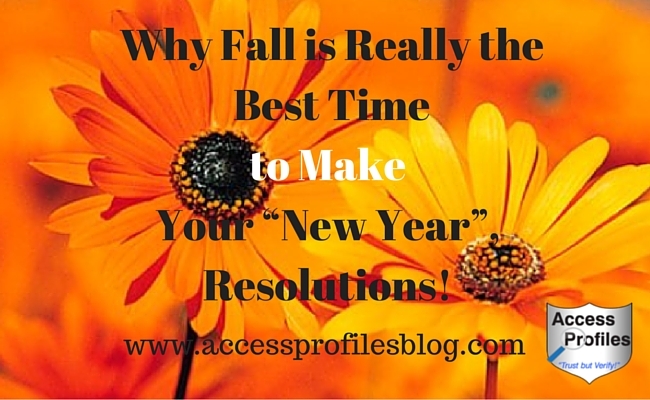 Fall is Really My “New Year”, and It Should be Yours Too! While traditionally many make their “new year” resolutions in January, that has never been the case for me. Instead, I choose to make mine in the beginning of September. For one, come September I have usually had the chance to relax over the last few months. Summer’s longer days and nicer weather has meant vacations and long weekends (and this year I was even able to take a real vacation “laptop free” ~ see how I managed that here). Even my business has been in slow down mode. Many of my clients are taking vacations themselves and the need for my services lessens. While I don’t stop work completely, there is a definite reduction in the amount of time I need to take to complete my tasks. For another, September officially heralds in the start of a new school year. And even though I no longer have children to send off, for me it still signifies a time to get back to work and follow a schedule. It is definitely a chance for a fresh start. I find that when September begins I really feel a new energy and am ready to tackle my business head on. Neither of these things are true for me in January. For the most part, by the time the new year rolls around, I am usually exhausted. Holiday demands ~ decorating, baking, family gatherings ~ have taken their toll. The last thing I am ready to do is buckle down and set goals for me or my business. So instead, each Fall I begin my true “New Year”. I am mentally and physically ready to be objective and honest about my business goals and can set a true course to achieve them. 3 Steps to Help You Make & Keep Resolutions for Your Small Business! "Tweet This"
Now is a great time to look back and see what I have accomplished since the beginning of the year. I will take a good hard look at what is working and what still needs work. Am I where I want to be? I also can be honest about what I am doing, or not doing, to achieve my goals. Am I wasting too much time on one thing at the detriment of another? My tip to You ~ Be sure to focus on weeding out what is not working (why should you waste your time?). This may mean dropping products or services that are no longer viable or adding new ones that are more in line with your goals. This is not a time to stress about what you didn’t get done. However, it is the time to be honest about your business and yourself. The point now is to move forward. I will now make a list of my goals and prioritize them. I need to decide what is most important and work on that first. My tip to You ~ Mix “quick fixes” with more lengthy projects. This will help you quickly gain a sense of accomplishment, so important in keeping you motivated. At this point I will add to that list ways I can make my business more profitable. To that end, I will reevaluate the actual costs of running my business. Are there places I can save? Do I need to spend more in some areas? This is when I will determine whether I need to raise my prices. If I do, then I am sure to give my current clients a heads up. My practice is to announce now that a price increase will take effect at the start of the new year. This gives them plenty of notice and a chance to request my services at the current price until then. For me, that means taking a fresh look at what really brings me the most joy in my business and edit my new goal list accordingly. I find I need to remind myself of “why” I do what I do. When I have that squarely in mind, then it is easy to see where I should place my focus. This core is what makes my business uniquely me. For example, I have decided to refocus on my desire to work exclusively with small businesses. To that end, my new goal list concentrates on what I can do to accomplish this. 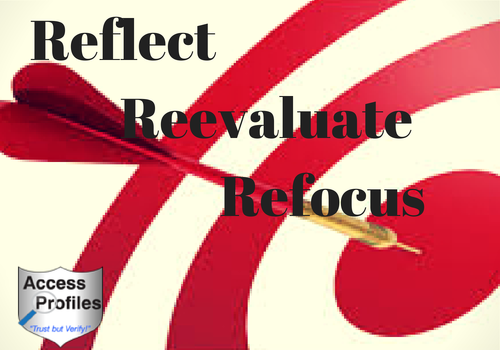 By focusing, I am able to fine tune my resolutions into a list that really makes the most sense to me and my business. My Tip to You ~ Set Your own goals to reflect what makes you unique. Find your “why” and align your “new year’s” resolutions accordingly. Now you know why I choose fall to be the start of my “new year”, and I think it could be yours too! Give it a try! Please Pay it Forward and share my article on your favorite sites. 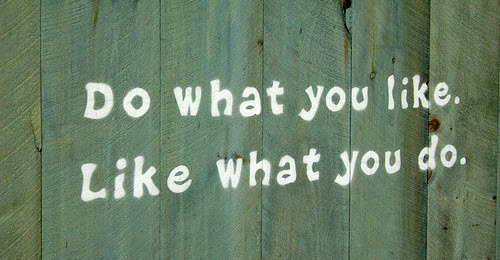 And leave a comment, I would love to hear what works for you in your Small Business! 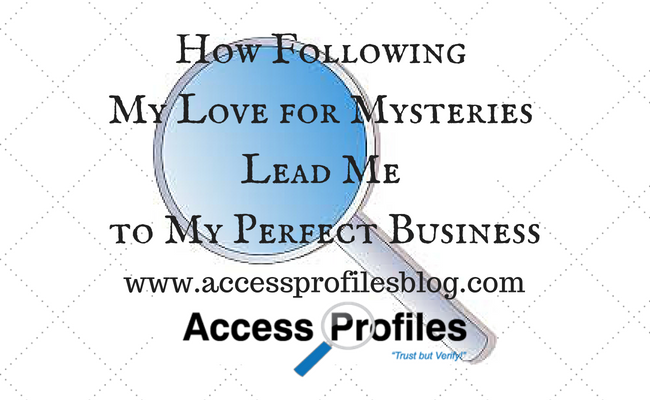 You will find many more tips to help you in your Small Business on my website, www.accessprofilesblog.com. I would love to help you achieve your own success! You can also find out more here About Me and My Services. Visit my Contact page to connect with me on Facebook, LinkedIn, Twitter, and more! For many, Labor Day marks the end of summer and the beginning of a new school year. However, more importantly, it also represents each and every one of us who work hard to take care of our families and to strengthen our country! And this most definitely means Small Business and the hardworking women and men who are running them. 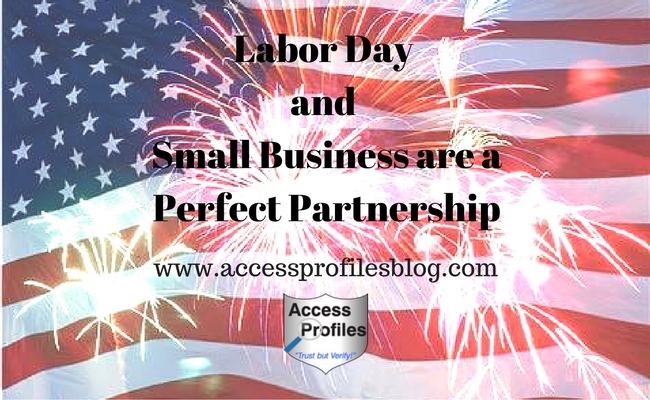 Small Business & Labor Day are the Perfect Partnership! "Tweet This"
Today, there are over 28 million Small businesses, making up more than 75% of the total businesses in the U.S., and our numbers are increasing each year. We also employ over 50% of the current working population (according to Forbes) and have created more than 63% of the new jobs in the U.S. since 1993 (www.sba.gov). The economic landscape and downsizing of larger businesses most likely prompted the trend towards entrepreneurship. However, the current climate favors “shopping small” and this bodes well for the success of Small Business. Small Business owners more than anyone understand the need to appreciate our employees. We work more closely and rely more heavily on them than our larger counterparts. Smart small business owners realize that our employees are key to our survival. They are hands-on with our customers and with our products and services. We rely on them for the success of our day-to-day operations. 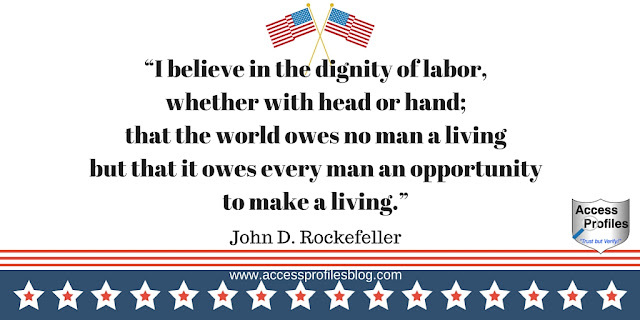 Not just on Labor Day, but each and every day, Small Business owners recognize the importance of valuing our employees. Treating them with respect and committing ourselves to them is the best way of getting that in return - a recipe for our company’s success. Along with celebrating our employees, we also need to recognize ourselves and our accomplishments. We took the leap and started our own business. We continue working day in and day out to provide for our families and the families of our employees. Even in a down economy, or perhaps because of it, we have forged our own paths and found a way to make it work. Small Businesses provide that opportunity ~ And that is something to Celebrate! Please Share this article on Your Favorite Social Sites! Thanks! how API can Help You Succeed! You can also find out more about What We Do and Why on our Hiring, Business Mentoring, Security Consulting and About Us Pages!